Shoup on informal parking markets: the good, the bad, and the ugly. Informal parking markets operating outside the regulated system can fill a market niche that is hard to serve by formal means. They often appear near sites that generate short, sharp, infrequent increases in parking demand. Near the Los Angeles Coliseum, for example, residents charge for parking in their driveways on game days. Drivers may have to walk a few blocks to the stadium, but after the game they can leave from residential driveways much faster than from a crowded stadium lot where everyone is trying to exit at the same time. These dispersed informal lots also reduce the severe congestion caused by peak entry and exit queues. The demand for game-day parking is so strong that some cities have legalized the informal markets. For example, Michigan Stadium in Ann Arbor is the largest sports arena in the US, drawing crowds of over 100,000 for every home game since 1975. The large stadium crowds have created an informal market for off-street parking. Ann Arbor prohibits parking on lawns, except on football game days. Residents park their own cars on the streets before the games to create off-street spaces on their lawns, driveways, and back yards. 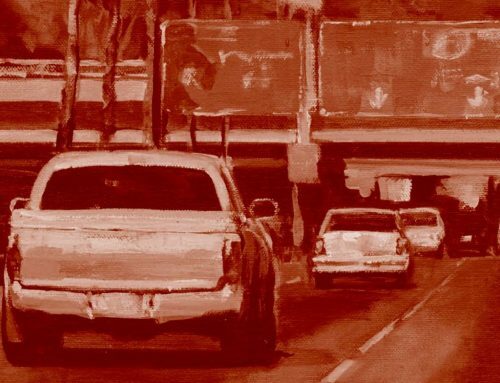 Many drivers think that paying for parking is un-American, but residents who receive the revenue know that paying for what you use is a traditional American value. In neighborhoods where curb parking is scarce but free, informal markets can be quite profitable. Apartment building doormen in expensive neighborhoods in New York and San Francisco, for example, have become successful parking entrepreneurs, using their buildings’ taxi zones to park cars for visitors, and earning tips for their service. When a curb space opens up near the building, the doorman moves the visitor’s car into it. If a resident who parks on the street then comes home and cannot find a curb space, the doorman moves the visitor’s car back to the taxi zone to create a curb vacancy, the resident parks in it, and the doorman receives another tip. 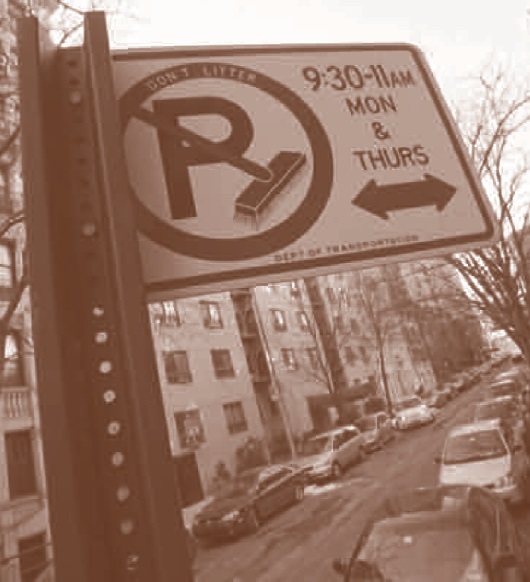 Alternate-side parking regulations in New York City create another informal market. To allow for street cleaning, New York prohibits parking for a 90-minute period on one side of the street on Mondays, Wednesdays, and Fridays, and on the other side on Tuesdays, Thursdays, and Saturdays. During the 90 minutes when parking is prohibited on the side being cleaned, many residents double park their cars on the other side of the street. This alternate-side regulation creates an informal market controlled by doormen. Residents who park on the street give their car keys to their doormen, who charge a monthly fee to move the cars from one side of the street to the other. When drivers want to use their cars, they ask the doormen where their car is. Some doormen leave gaps of curb space in front of and behind each vehicle they park, but not enough of a gap for someone to park in it. Then, when the doorman needs to park another car, he simply moves the first car forward to create a second parking space. Parking on sidewalks has evolved as an informal custom in some older neighborhoods in response to a shortage of free parking on the streets. I began to study this informal parking market when teaching a course on Urban Transportation Economics at UCLA. Many of the students live in North Westwood Village, a 15-block neighborhood next to campus. Drivers often park on the aprons of driveways (the paved area between the sidewalk and the street), with the front of the car extending over the sidewalk. Others park in the driveway with the back of the car extending over the sidewalk (and no part of the car on the apron). No matter how far the cars extend over the sidewalk from either the apron or the driveway, drivers call it apron parking. Landlords charge their tenants for the right to park in the aprons, usually about $50 a month. This informal market for parking on sidewalks lets landlords charge for parking spaces they don’t own and shows that parked cars are more important than pedestrians. Social psychologists and police officers tend to agree that if a window in a building is broken and is left unrepaired, all the rest of the windows will soon be broken…one unrepaired broken window is a signal that no one cares, and so breaking more windows costs nothing. If we substitute cars parked on sidewalks for broken windows, North Westwood Village illustrates this theory. Where enforcement officers do not ticket the first cars parked on the sidewalk, more drivers will park on the sidewalk. Eventually, drivers will park on sidewalks throughout the neighborhood. Because the city has relaxed enforcement in North Westwood Village, an informal parking market has taken over the sidewalks. My students began to study informal parking in the North Village, counting curb spaces and parked cars, analyzing census data, interviewing residents and property owners, and documenting the situation with photographs. The students counted 205 cars parked on the driveway aprons on a typical day. 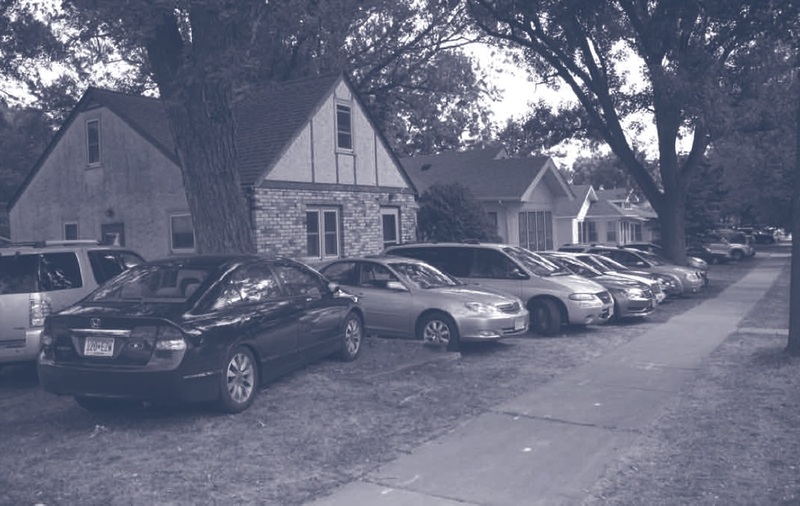 This might seem like a small number compared to the neighborhood’s 11,000 residents, but these 205 cars were enough to block the sidewalks on every street. A tiny minority inconveniences life for the vast majority. Informal parking on sidewalks may seem to be only a local issue, but the US Supreme Court ruled in 2003 that the Americans with Disabilities Act (ADA) applies to sidewalks. The decision in Barden v. Sacramento requires cities to make public sidewalks accessible to people with disabilities. Because of this ruling, cities must remove barriers that block access to sidewalks. This decision has created a serious liability for cities like Los Angeles that have informally allowed drivers to park their cars on sidewalks. 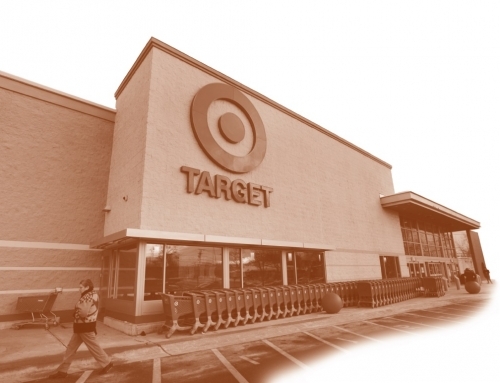 Two ADA lawsuits against Los Angeles have spurred reform. Both lawsuits address broken sidewalks and cars parked on the sidewalks. 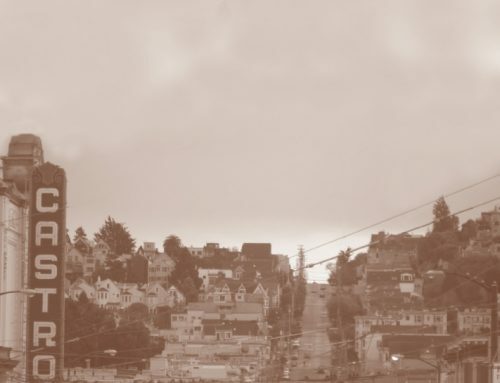 After years of neglect, these lawsuits have forced the city to reconsider the informal policy of relaxed enforcement and to decide exactly what should be legal and what should not. Given the threat of ADA lawsuits over inaccessible sidewalks, all cities that informally allow illegal parking on sidewalks will need to find ways to mitigate the withdrawal pains caused by enforcing the law. The loss of informal apron parking will increase the already high demand for curb parking, but Overnight Parking Permits can help solve the problem. Like many other cities, Los Angeles allows the residents of any neighborhood to adopt an Overnight Parking Permit District that prohibits overnight on-street parking except by permit holders. Enforcement officers need to make only one visit during a night to cite all cars parked without permits. Los Angeles charges residents $15 per year (less than half a cent per day) for each permit in an Overnight Parking Permit District. Residents can also buy guest permits for $1 per night. Given the high residential demand for on-street parking in North Westwood Village, the demand for overnight permits will greatly exceed the supply of on-street spaces. The city could keep the permit price low and limit the number of permits in some way, such as by a lottery. Alternatively, the city can charge a fair market price for the permits, so the number of permits demanded will equal the supply of on-street parking spaces. Suppose the city charges North Village residents the same price for a parking permit that UCLA charges students for a parking permit in the nearby campus residence halls─($96 a month). If the city charges $96 a month (about $3 a day) for 857 overnight permits (equal to the number of on-street parking spaces in the North Village), the new revenue to pay for public services will amount to about $987,000 a year ($96 x 12 x 857), or about $66,000 a year for each of the 15 blocks in the North Village. Paying for curb parking will never be politically popular, but it will make finding a curb space much easier. To increase the acceptability of this market-based solution, the city can spend the new parking revenue to improve public services in the North Village: to repair broken sidewalks, plant street trees, and fill potholes—all of which the North Village needs. Public safety is another issue. In 2012, North Westwood Village experienced three rapes, 15 robberies, 20 aggravated assaults, 58 burglaries, and 89 larceny thefts. Using some of the parking revenue to improve public safety can be far more valuable than providing free parking for a few cars. Dedicating parking revenue to the neighborhood that generates it has built political support for priced parking in other cities. The public improvements financed by fair market prices for 857 curb spaces will improve life for the North Village’s 11,000 residents, and can help to satisfy the city’s obligation to make the sidewalks accessible. There is nothing more difficult to take in hand, or more uncertain in its success than to take the lead in the introduction of a new order of things. Because the innovator has for enemies all those who have done well under the old order of things, and lukewarm defenders in those who may do well under the new. Most people want sustainable cities, good public transportation, walkable neighborhoods, public safety, and less traffic. But they also want free parking, which undermines these other goals. Fortunately, few people will have to give up their car if the city enforces the law against parking on the sidewalks and creates a formal market for parking on the streets. Instead, a few car owners will decide that a neighborhood without ample free parking is not the best place to buy or rent an apartment. People who cannot afford or choose not to own a car will take their place. During the transition, all the whining will be the sound of change. Informal parking markets often respond to the failure of cities to create formal markets for on-street parking. Even on some of the most valuable land on Earth, cities offer free curb parking on a first-come, first-served basis. In dense neighborhoods, how could informal markets for this free parking not emerge? If curb parking is free, entrepreneurs will find ways to create informal markets that serve drivers who are willing to pay for convenience. These informal markets respond to the problems caused almost entirely by free curb parking. 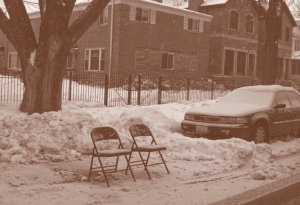 The shortage of free curb parking is not merely a problem, however. It is also an opportunity to create a formal market with fair prices that efficiently allocate land for parking. 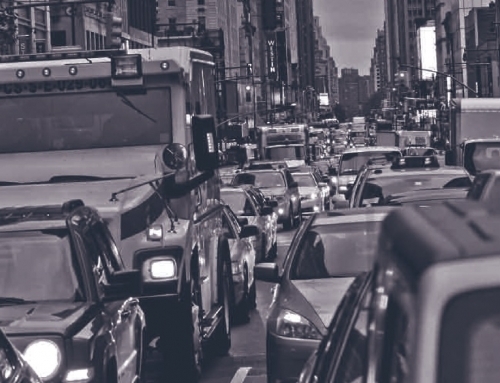 A formal market for on-street parking will reduce traffic congestion, air pollution, and greenhouse gas emissions, and will generate ample revenue to pay for neighborhood public services. Fair market prices can end the Hundred Years’ War over free curb parking, and the revenue will provide a peace dividend to rebuild our neglected public infrastructure. 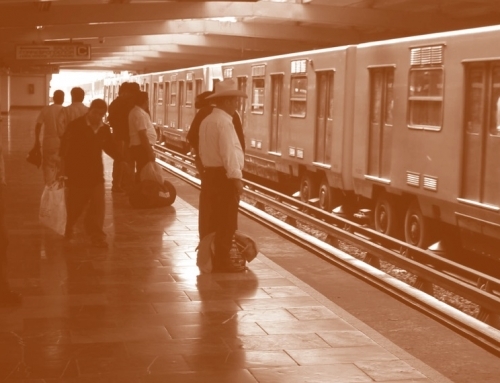 Livable, walkable cities are worth far more than free parking on the streets and sidewalks. This article is adapted from “Informal Parking Markets: Turning Problems into Solutions,” originally published in the book, The Informal American City. Jonathan Chait. 2010. “Hobbes, Locke, and Snowmageddon,” The New Republic, February 11. Douglas Kolozsvari and Donald Shoup. 2003. “Turning Small Change into Big Changes,” ACCESS, 23: 2–7. Regina Rheault. 1998. “No Parking: A Web-Based Study of the Dynamics of Parking Negotiations,” Master’s thesis submitted to the University of Massachusetts, Boston. Donald Shoup. 2014. “Informal Parking Markets: Turning Problems into Solutions,” The Informal American City, Edited by Vinit Mukhija and Anastasia Loukaitou-Sideris, Cambridge, MA: MIT Press. Donald Shoup. 2014. 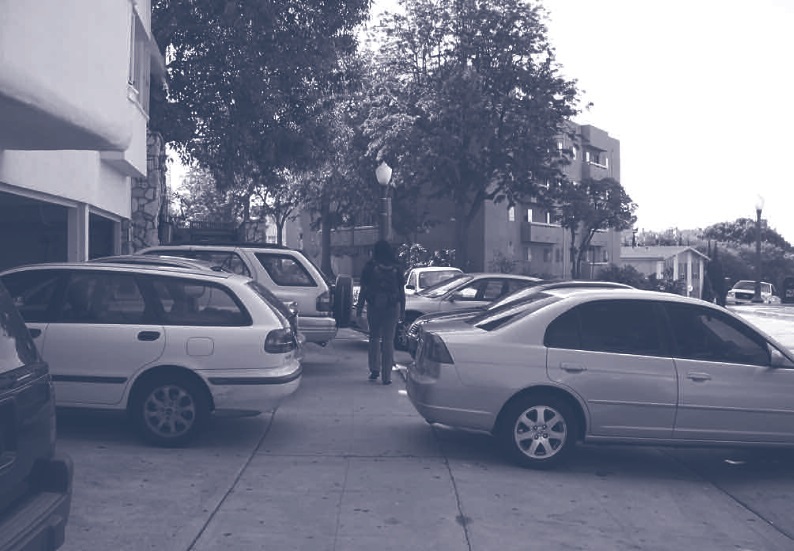 “Informal Parking on Sidewalks: The Broken Windows Effect,” California Policy Options 2014, Edited by Daniel Mitchell, Los Angeles: UCLA Luskin School of Public Affairs.